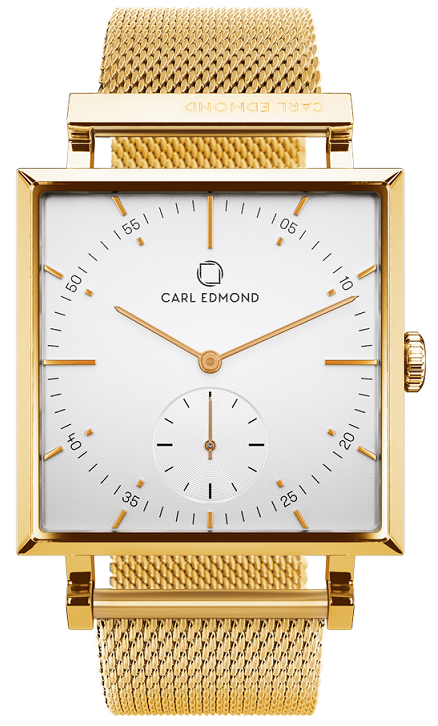 Swedish watch company Carl Edmond launched in September 2017. The company focuses on well-designed and minimalist watches with remarkable quality and great attention to detail. The brand continues to grow rapidly and has already been established in key-markets around the world with over 150 premium doors. Standing for quality and Swiss design, yet with an a ordable price, the watches have attracted celebrities and royals alike, having been spotted on both the HRH Swedish crown princess Victoria and HRH prince Daniel. The watches are also frequently worn by the co-owners and ambassadors Joel Kinnaman, the actor known from The Killing, House of Cards and RoboCop as well as former NHL star Peter Forsberg. The brand is extending the collection this October with new finishing of the popular models Ryolit and Granit, that will come for the first time with a state of the art mesh bands. In addition, the deluxe collection will o er two stunning finish: a natural gold and a rose gold plating. Ryolit is an elegant, classic round watch while Granit is a rather bold square model. The watches are designed by the renowned Swiss designer Eric Giroud, who has previously created designs for luxury brands such as Harry Winston and Vacheron Constantin. Eric Giroud about the new collection: “With this new collection, Carl Edmond dresses in gold and light to become more elegant while still remaining a fordable. The designs show a new ‘chic’ attitude without being elitist. The coherence remains the strong element of this new collection and is placed in continuity of the brand’s rst release last year. 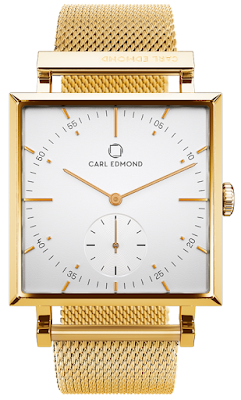 With a wider product offering, Carl Edmond watches will further become the companion of all circumstances and moments in life. The new models will be available in stores and online at carledmond.com beginning October 15th. Learn about watch designers in our jewelry guide section.